Web designers who want to make passive income are in a very good situation right now. Most businesses nowadays commit significant resources towards their websites. This means that the demand for web design skills is higher than ever. It also means that there are plenty of opportunities for web designers to create streams of passive income by leveraging their existing skills and experience. Let me start by defining what passive income is. Passive income is money you generate from things that require little resources and time in maintenance. You may need to provide customer support or updates to your product, but most of the work will be done in the production stage of whatever you’re selling. What are examples of things web designers can make to generate passive income? Below are some examples and inspiring success stories. Now is a great time for writing and selling e-books. Last year, e-book sales went up by 46%, showing that the demand for books in digital form is increasing. Similarly, sales of mobile tablets — the devices that make e-books much more convenient to read — is growing. In Canada, for example, 1 in 4 people have a tablet. And in the UK, the number of tablets in households is forecasted to nearly double this year, from 5.87 million to 10 million. Now is a great time to make and sell e-books. 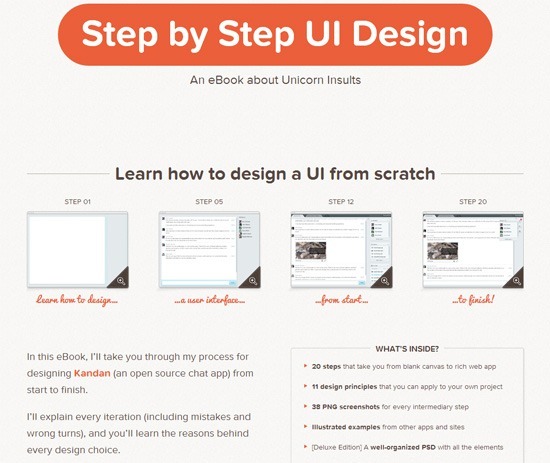 Web designer Sacha Greif (a guest writer here on Six Revisions) made $15,000+ in sales for an e-book about designing user interfaces from scratch. It only took him 3 weeks to write. Web developer Jim Gray made over $15,000 in 6 months with his e-book Clean Ruby. He shares some stats and tips in a blog post. 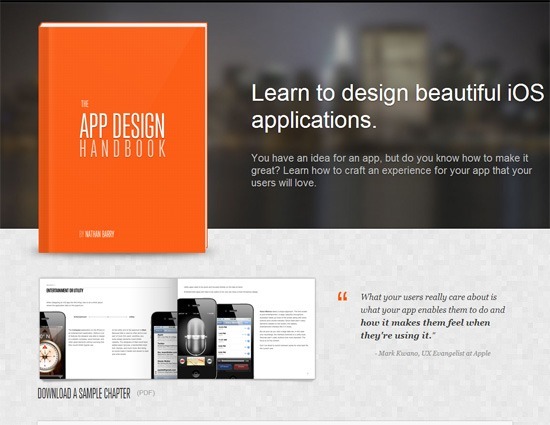 App designer Nathan Barry (who has guest posted on Six Revisions before) made $6,000 in the first day of launching his e-book, The App Design Handbook. He reveals his strategy for achieving this amazing product launch in a blog post. Many people around the world are eager to get into the web design industry. They are hungry for quality information that would help them master the craft. Online video courses are an excellent medium to teach web design. Either publish them yourself or look at sites like Treehouse, Code School, Udemy, etc. to see if they can be the publisher of your online course. Can you make a good amount of passive income through online courses? 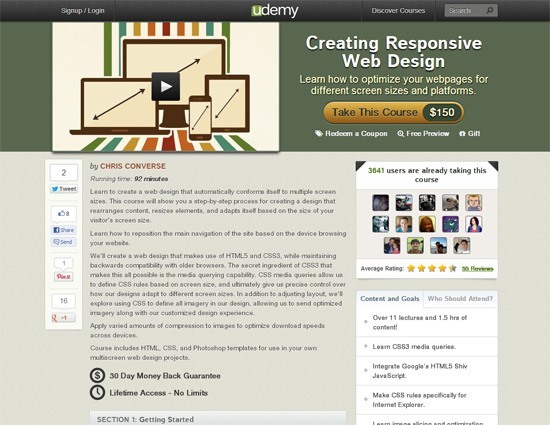 Let’s take as an example designer/developer Chris Converse who currently has over 3,500 subscribers to his $150 online course on Udemy about creating a responsive web design. By June 2012, the course generated $80,000 in sales during the time that it had less than half of the current subscribers. iPhone and iPad sales are not likely to slow down anytime soon, which means that there is a constant demand for all kinds of apps, from entertainment to productivity to education. 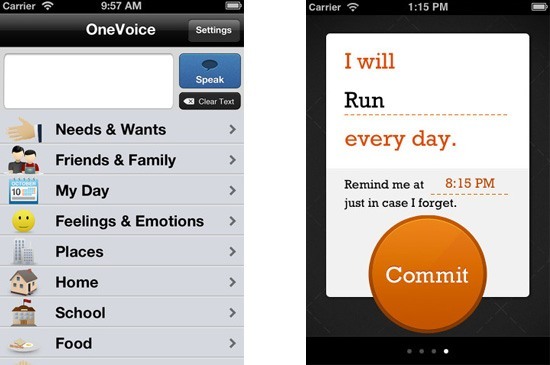 Nathan Barry made close to $30,000 in a little over a year and a half from the first app that he launched, OneVoice. One of Barry’s other apps, a personal productivity tool called Commit, has generated $6,000 in profit. "Start working on your app today," says Barry in a post where he discusses his experiences generating income from his apps. With WordPress being a leading content management platform, there’s a big demand for affordable and high quality WordPress themes that allow users to have a beautiful website without having to spend a fortune hiring web designers. 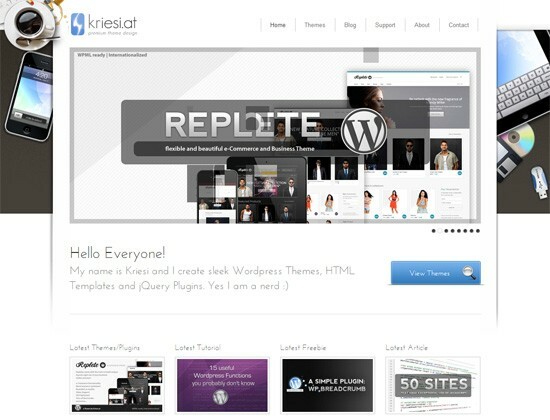 In one report, Web designer Kriesi, a top seller at the Envato marketplace, was able to produce over $1,000,000 in sales from his WordPress themes. Serial entrepreneur John Saddington has built a successful business around a single WordPress theme called Standard. 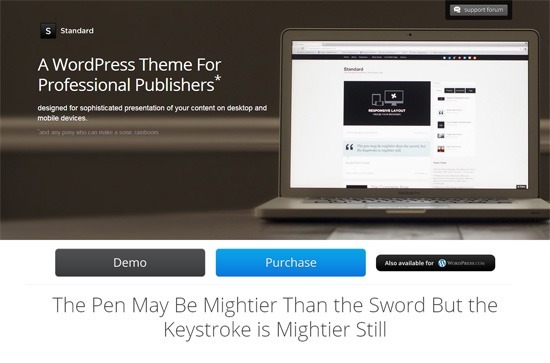 "It’s not too complex to create your own WordPress theme," says Saddington. Web designers have a very real opportunity to make themselves more financially secure and independent by creating sources of passive income. I hope that these success stories have inspired you to, at the very least, get started on your personal project and thinking about how you could possibly monetize it. Share your thoughts and other inspiring stories in the comments!